As one of the largest pharmaceutical markets in the world, China is looking to bring in new, innovative therapies quicker. The Chinese government has made it a top priority to allow quicker access to more innovative therapies for patients. According to The Economist, “China’s national market for drugs has grown to become the world’s second-largest. It could grow from $108 Billion in 2016 to around $167 billion by 2020 according to an estimate from America’s Department of Commerce”. However, that $108-billion-dollar pharmaceutical spend only represents 1% of GDP, and 17% of total healthcare expenditures (which was 5.9% of GDP). Of that, 64% was spent on generic drugs versus patented and over-the-counter (OTC) sales. Given the healthcare spend we see from other countries around the world, there is still a lot of room for growth within the China market. With an aging population comes an increased demand for healthcare. Industry professionals around the world are facing increasing pressure for innovation and development of new drugs, and China is no exception. Management of clinical trials and investment in clinical trials at educational institutions, medical organizations, etc. On March 4th of 2016, the China Food and Drug Agency (CFDA) officially launched their new classification system for chemical drugs. Under the Reform Scheme of the Classification System for Registration of Chemical Drugs (Reform Scheme), previously called the Drug Registration Rules (DRR), some classifications have changed. 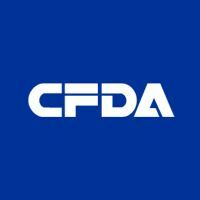 In the Reform Scheme, the CFDA had redefined the classification of what is considered “new drugs” and what is “generic”. By far the biggest changes come to Domestic Drugs, spread out among 4 different classes. Imported Drugs, redefined as Class 5, will still be following the DRR. Earlier this year, China’s CFDA implemented new directives for clinical trial and medical devices requirements. The changes will serve to speed up the process of drug and device approvals and registrations. Previously, approvals in China meant a long and cumbersome clinical trial approval process to introduce drugs and devices already on the market in other countries. Under these new proposed changes, clinical trial data that is generated in other countries will be able to be submitted in some cases to prove safety and efficacy. This would enable pharmaceutical companies to dramatically reduce drug approval times by removing the need to replicate costly clinical trial data in China. One important factor in the use of pre-existing data is that it can show efficacy in the ethnic population it wishes to target, so therefore it is important that trial data can reflect this. Translating for the life science sector is one of the fastest growing translation areas worldwide. Unfortunately, translation quality, or rather lack thereof, can be a costly error. Recently, Slator reported on a Chinese pharmaceutical company Guangdong Zhanjiang Jimin Pharmaceutical Co. which came under fire by the US FDA after improperly labeling a listed ingredient. On August 30, 2017, all lots of the drug in question were recalled. The issue arose after a translation error occurred when two separate active ingredients were thought to be the same. When translation errors like this occur, the financial repercussions are far-reaching. This is why extra care should be taken to ensure the right language service provider is partnered with for this highly regulated industry. It is extremely important that translations are performed by those with both knowledge and experience in life sciences. Language suppliers should have translation quality checks in place to ensure that only correct and verified translations of terminology and product information are used. Luckily, for many companies, CSOFT’s dedicated life science business unit: MedL10N, has provided professional, high-quality translations for more than a decade to some of the largest global pharmaceutical and medical device companies. MedL10N’s proven expertise in high-quality technical translation for the life sciences industry is backed by our ISO 9001:2015 and ISO 13485:2016 certified quality management system.